We would like to express our deepest condolences to the familys of the Swiss F18 Jetcrew who died in duty near "Lopper - Kanton Oberwalden" yesterday. I would like to express my most deepest sympathy for your tragic loss and my condolences to the family of our fellow tiger who has just flown west for the last time. 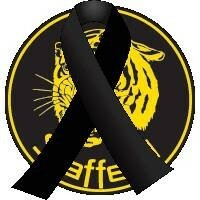 Every Tiger will feel the pain of his passing. I thought the words of remembrance on your webpage next to his picture were wonderful. May he rest in peace. My very best wishes to Staffel 'Elf' for the future and hopefully I can meet some of you soon.